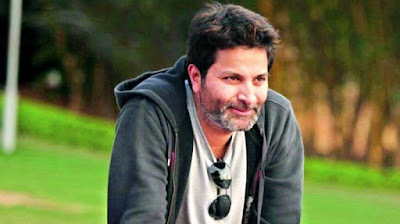 The copyrights of the author and director Trivikram.Trivikram is the habit of borrowing from his movies, concepts from foreign films.Trivikram has also taken the storylines from old novels.The director also had a controversy over the recent film 'Agnyaathavaasi'.Now that is not the film directed by Trivikram, but Trivikram is the film that is being directed by the author.The same is 'Chal Mohan Ranga'. Nithin and Megha Akash are coming up in the combo and the film is being directed by Krishna Chaitanya. The movie shows previews in few hours. Now the copy rumors are in the film. This is also a touch on the industry that Trivikram has made his way out of the Hollywood movie. Hollywood super hit movie 'Wehn Harry Met Sally' is being inspired by Trivikram's 'Chal Mohan Ranga' story. There is no confirmation yet. Similar rumors have also started in the latest film with the tapes of Trivikram films. A girl, a boy and a girlfriend, love affairs, like a travel movie are going to be called 'Chal Mohan Ranga'. 'When Harry Met Sally' came a decade ago. Many films have already come with its inspiration. Will it be copied once again? Or are these copyrights rolled out? The next clarity comes in a few hours.